The humble mechanical pencil has always been a key component of my writing arsenal. I have had a few favorites over the years, but I never really zeroed in one or two (or five for that matter) as my go-to mechanical pencils. Due mostly to its availability, cheap price and fantastic eraser, Pentel’s standard Twist Erase (usually in 0.7 mm) frequently found its way into my hand. That little guy got me through more than a few organic chemistry tests in college. The Twist Erase is a fine pencil to be sure but that never stopped me from buying and trying other possibilities. How many other mechanical pencils have a tried over the years? Well, here is the list of mechanical pencils currently residing in the dedicated mechanical pencil bin at home. 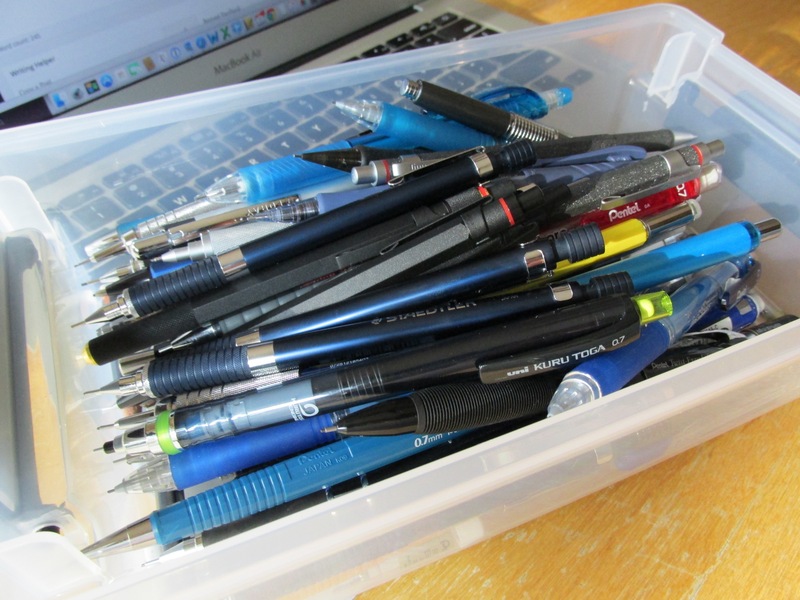 This list does not include the odd pencil lost in an office drawer somewhere or pencil components in multipens, but it is a reasonably complete list of the mechanical pencils I have tried over the years. As part of my objective to simplify/reduce/focus my writing tools, I would like to curtail this unwieldy collection down to a final few. Getting down to 2 or 3 options for each of the common graphite sizes (0.5, 0.7 and 0.9) would be a nice goal. I have made considerable headway towards on this in the past several weeks, but I am not yet down to a final list. Maybe I will compare similar pencils along the way so do not be surprised if a few mechanical pencil posts show up around these parts. Posted on 07/30/2015 07/31/2015 by Todd	This entry was posted in Mechanical Pencil. Bookmark the permalink. That Lava is probably worth all of them put together, lol. Nice collection.